La Cámara de Diputados de Brasil aprobó el pasado 3 de abril el Proyecto de Decreto Legislativo nº 860/2017 sobre el tratado internacional "Protocolo referente al Acuerdo de Madrid relativo al Registro Internacional de Marcas", más conocido como Protocolo de Madrid. El texto ahora pasa al Senado Federal. El Sistema de Madrid permite proteger una marca en gran número de países mediante la obtención de un registro internacional que surte efecto en cada una de las Partes Contratantes que se hayan designado. Consta actualmente de 104 Miembros y abarca 120 países, que representan más del 80% del comercio mundial. La preparación operativa realizada por el INPI para la implementación del Protocolo de Madrid abarca la modificación de los sistemas de TI utilizados en el procesamiento de pedidos de marca, la creación y modificación de procedimientos operativos, la edición de actos normativos y manuales, una reestructuración interna y el dimensionamiento y capacitación de los equipos. Brasil sería el 7º país del continente americano que se adheriría al Sistema de Madrid. HOW VENEZUELAN CRISIS AFFECTS INTELLECTUAL PROPERTY OWNERS People who believe that cryptocurrencies have no real utility should look carefully at what is happening in Venezuela. You have probably never heard about the Petro, a cryptocurrency launched in October 2018 by the government of Venezuela as a measure to fight against an out of control inflation of more than 1.000.000%. The "Petro" was launched about a year after the "Rabbit Plan" didn't work out. 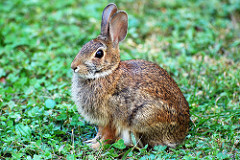 The "Rabbit Plan" was a national campaign for people to raise rabbits in their houses so they could have access to animal protein, something very scarce in once the richest country of Latin America. The plan did not meet the expectations as most people were not capable of killing what became their furry pet. Well, now Petro has become the payment method for official fees for foreign IP applicants, but there is more than a catch with this. 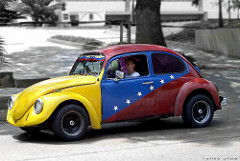 First, the Chavist Venezuelan government has never been a fan of Intellectual Property. In fact, they are against any private property and even more if it is an income producer private property. For years the Venezuelan IP authority, the SAPI, became a black box were applications were filed but nothing happened. Not even a single patent was granted for many years. One day, following the example of their socialist friends in Ecuador, they discovered that they could make a good amount of money charging incredible high official fees to foreign applicants. The SAPI opened bank accounts in the US and later in Puerto Rico to receive payments from foreign applicants as it was not possible for them to pay in the local currency. Later, as the Venezuela huge humanitarian, economic, social, political and international crisis became a regional problem, the US government started to impose sanctions against their regime. The time when the SAPI was receiving thousands of dollars for a single patent annuity came to an end as their US-based bank accounts got closed. On February 2nd, 2018, the Venezuelan Patent and Trademark Office (SAPI) advised the public to stop making registration related fee payments in foreign currency until the authorities could clarify the exchange rate to be applied. In fact, their official exchange rate is so distorted that if used applicants will end up paying pennies for their applications. On August 23, 2018, the SAPI approved a new set of fees that represented a price increase of 142,000%, a move that sparked outrage among the IP community in Venezuela, with several of its leaders calling for the repeal of the measure. On top of this, the SAPI entered back in low-activity mode, virtually halting the IP registration proceedings. The situation did not change much until February 1st, 2019, when the SAPI published a new set of fees, which ended the year-long suspension of payments enacted on February 2018. Not all was good news: according to the SAPI announcement, foreign applicants and right owners would have to make their payments in "Petros", the government-sponsored cryptocurrency. Legal challenges have been announced against the measure, but their success is far from guaranteed. The SAPI directive meant a new hurdle for US-based applicants, since on March 19th, 2018 the US government had issued an executive order effectively prohibiting any US person or within the US to provide financing for or otherwise deal in "any digital currency, digital coin, or digital token that was issued by, for, or on behalf of the Government of Venezuela on or after January 9, 2018." So foreign applicants are now in a delicate situation if they do not use the Petros they might lose their IP rights in Venezuela. But if they use them to pay their fees they are at high risk of getting a sanction from the US. Even though the "Petros" payment platform is not yet available for the general public, we recommend our clients to seek regulatory advice in their countries in order to avoid potential risks. As with everything now in Venezuela we are not sure what is going to happen. At least we know for sure that as the "rabbit plan" is no longer working we will not have to pay official fees with rabbits. Since 01st January 2019, The Colombian Superintendence of Industry and Commerce (SIC) has assumed Pro Tempore, the Presidency of the Ibero-American Program on Industrial Property and Development Promotion (IBEPI). The programme subscribed to the Ibero-American General Secretariat (SEGIB) brings together the Intellectual Property National Offices of 14 countries of the region, including: Brazil, Argentina, Spain, Mexico, Peru, Portugal, El Salvador, Guatemala, Costa Rica, Ecuador, Uruguay, Paraguay, Dominican Republic and Colombia. The IBEPI focuses on the promotion of the use of intellectual property as a tool for competition and development in the industrial, commercial and research areas of Ibero-American countries. Its general objective is the promotion of development of Ibero-American societies through the strategic use of intellectual property in support of public policies; it aims to use it as a tool for competitiveness in the commercial, industrial and research sectors of the region. The program is currently developing five lines of action which will be promoted and articulated through the year. This include: (i) Technological Information, (ii) Modernization of Offices, creation of Human Resources and Training; (iii) Communications, CIBEYME and Advise to Users; (iv) Observance of Rights; and (v) International Cooperation with other Intellectual Property Programmes. 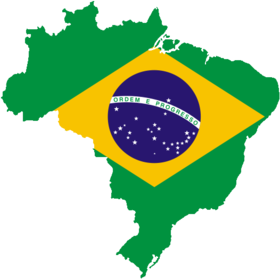 Yesterday, 21th February, 2019 the Brazilian Instituto Nacional da Propriedade Industrial (INPI) has made available the electronic system for Geographical Indications (GIs). This was approved by Resolution No. 233 of January 18, 2019. The system aims to speed the process and allows the applicant to file the petition from any place and any day of the week. Through the system, you could get assistance on how to complete the forms. The system is available by using the same login and password registered in the (Union Collection Guide GRU) if you have one. If not, then you need to obtain a GRU number which is payable – you need to do so before starting the application. A user’s guide can be found here. The Industrial Property Law no. 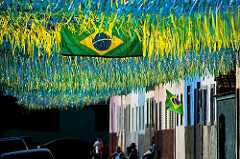 9279/96, sets up the system for GI protection in Brazil. The law distinguishes between 2 types of GIs: Indication of Source (Indicação de Procedência) and Appellation of Origin (Denominação de Origem). The INPI has registered 51 Indicação de Procedência (all nationals) and 20 DOs (9 of them are nationals). Peru has scored once more in the international recognition of Pisco, their national drink. The Registry of Industrial Property of Guatemala recognized Pisco as a Denomination of Origin (DO) produced in Peru. By Guatemala recognising Pisco as a drink from Peru, it prevents the registration of the name and any marketing of Pisco within the Guatemalan market if it has not complied with the Peruvian national regulation. Back in 2017, 'Pisco' was declared Cultural Heritage of the Peruvian Nation (Law 30639). In the same year, the DO Pisco was also granted (by The Peruvian Institute for the Defense of Competition and Protection of Intellectual Property INDECOPI) the character of ‘reputable mark’ due to its well-known status. It is relevant to mention that Pisco is original to Peru as it is original to Chile – therefore there is a long battle between these two countries over the name ‘Pisco’. 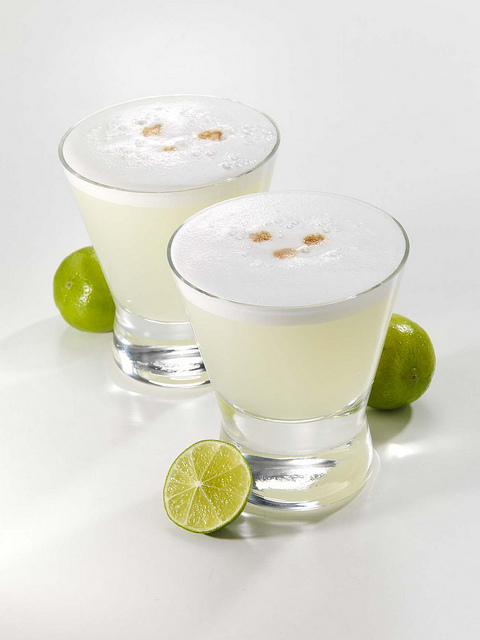 Pisco has obtained DOs in both jurisdiction as an original and native drink. Some countries would recognise Pisco as coming from Chile and others, from Peru, but not from both countries at the same time, except the EU. This is so because the EU registered Peruvian Pisco as a DO but acknowledged a previous trade agreement (2002) between Chile and the EU in which Pisco was recognized as a DO from Chile. The note clarifies that the protection granted to "Pisco" as a DO to Peru does not hinder the use of that name for products originating in Chile. 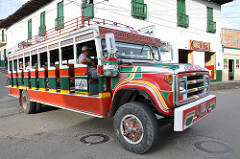 Malasia recognizes Pisco as a DO from Peru as well as, Israel, Nicaragua, Algeria, Cuba, Georgia, Haiti, Bolivia, Colombia, Ecuador, El Salvador, Guatemala, Panama, Dominica Republic, Venezuela, Nicaragua and India (since November 2018). However, Costa Rica, United States, China, Malaysia, Singapore, Thailand and Vietnam recognize Pisco as a DO from Chile. More information about Pisco here.